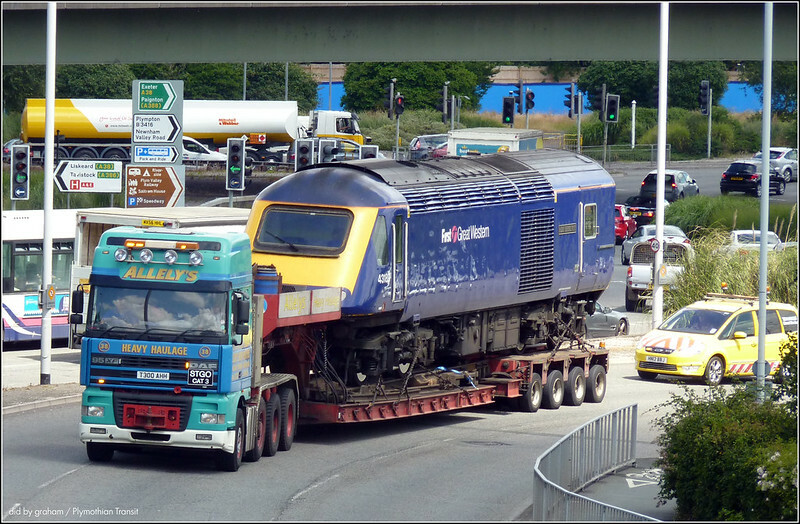 Another HST arrives by truck, only this time there is rather more of it! Photo credit: Thomas Guppy under Creative Commons Licence. Not on subject but I see First Kernow buses have announced more expansions to routes into Central Cornwall from January 2015.. more steps to kill off Western Greyhound perhaps ? Western Greyhound has killed itself off prior to any competition beginning tomorrow. It's been touted around for sale for £1 but still has no takers, journeys are still 'suspended' and a whole load of drivers have had enough and gone to First. This is First making sure no-one else steps in when the inevitable happens. Pay £1 and the debts are then assumed by a purchaser. WGL evidently has cash flow issues, no proper destination equipment fitted to vehicles, no repainting of vehicles, no fixing of defective vehicles, phone line being disconnected (another unpaid bill), the Newquay travel office allegedly shut all day Monday 3rd, daytime buses not running on the 586 on the same day. Sorry to say it but WGL are the architects of their own downfall. No proper fleet replacement strategy, expansion using non DDA compliant buses, only buying SLFs at the very last possible moment, all these issues combine to give it the problems it faces today. Accounts for 2012-2013 STILL not filed raise questions as to the going concern status of the business - have the auditors been in and looked at the accounts and concluded that this business has no future and cannot pay its debts as and when they fall due? If the business cannot settle its liabilities as and when they fall due, then they surely do not have appropriate financial standing, their repute is surely under question through failing to operate services as per the timetable. So where are VOSA and where is Sarah Bell? She has revoked operator licences for much, much less than WGs issues. A continued lack of action raises serious questions about those who govern us and the legislation all operators must run in compliance with. Why does the law not apply to Western Greyhound when it applies to all of us reputable operators? WG must be removed from the industry now by having it's licence revoked, and it's directors and it's CPC holders disqualified from holding an operators licence. It's all very well First coming along a registering a load of new routes which compete with WG but surely the question is what proportion of the affected WG services is commercial and what proportion is supported? Thus, what is Cornwall County Council going to do with regard to the tendered bits? Or aren't there any? They're not supposed to support services where there is a commercial alternative which is presuamably what First is now offering. The supplementary question, of course, is what happens in the future should First decide that these new services aren't fully commercially viable after all? That will give the Council and enormous headache, especially if there isn't a Western Greyhound around to help keep tender prices down. As always, it's the passengers who will potentially suffer. Its about time Citybus announced some route changes and service cuts isn't it? Its been at least a fortnight since the last round. New First timetables available on Travelline. 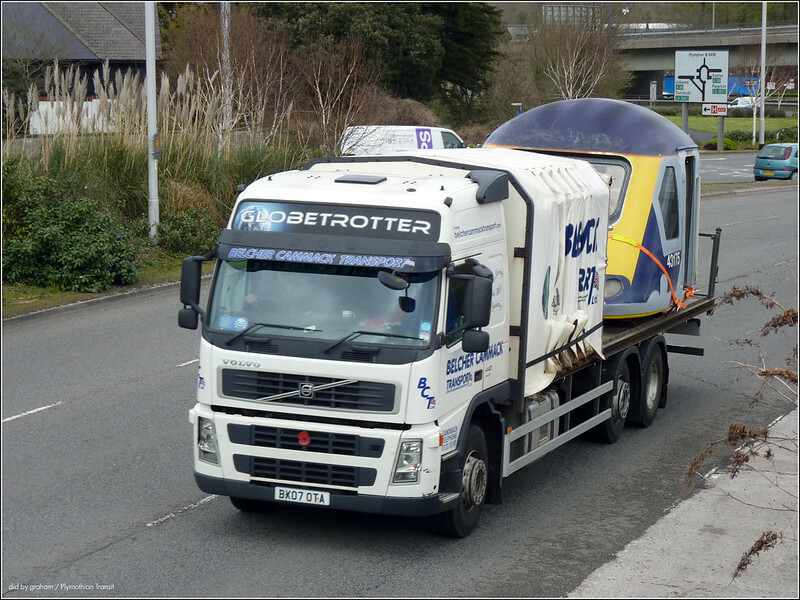 It seems First are continuing on their small scale extensions in Plymouth. As previously stated here service 6 will be extended from City-Efford-Laira along Embankment to Sainsburys Marsh Mills every 15 mins. The surprise to me though is a new half hourly Sunday service on the 6. This route must be doing well I guess. Here's hoping to a Sunday 3a soon too. Well the WG supervisor I know told me yesterday was a complete meltdown caused by another nine drivers starting with First as of yesterday, and a flurry of PG9s being issued to buses at Liskeard first thing in the morning by DVSA vehicle examiners. It is oft said that there is one sure-fire to make a small fortune running a bus company - and that is to start off with a big fortune. Quite a few ready to blame First for Western Dog's decline. How exactly did they manage to do that then ? Of course they are haappy to "cherry-pick" trained drivers from wherever. What sensible Bus Company would do anything else? First have nothing to be sorry for in this tale, the blame for the state of WG is down to one person only, and that is the founder of the business himself who has made some appalling decisions.